This mural was commissioned for a suite of basement rooms in a London mansion house, and is loosely based on Livia's Garden Room in Pompeii. This mural technique, like water colour, can produce effects of great delicacy and lightness. The idea was to introduce colour and movement which would work with the available light and scale of the room. 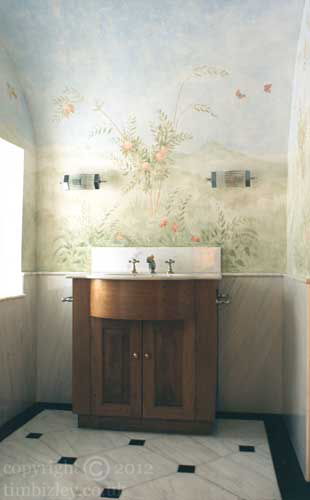 Commissioning a hand painted mural is a similar process to commissioning a painting.